America’s best dozen players were grief-stricken at the passing of Arnold Palmer this September, just days before the biennial match against Europe at Hazeltine National Golf Club—but they were also inspired. 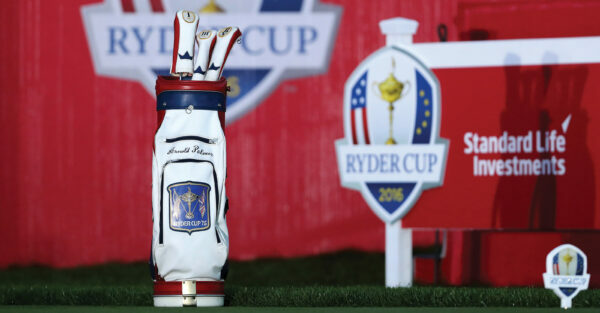 Palmer’s Ryder Cup bag stood beside the 1st tee on the Minnesota course throughout three days of competition as an iconic reminder of the traditions and sanctity of this historic contest. With an invisible but omnipresent 13th man pulling for them, the U.S. ran out comfortable winners, just as they had in 1975 at Laurel Valley in Pennsylvania when Mr. Palmer was last involved in person, as a non-playing captain. This time the score was 17-11; 41 years ago it was 21-11. It is easy to categorize Palmer’s career by his individual triumphs, yet so many of his cherished memories and momentous achievements came from a lifelong involvement in team golf, both as player and captain. And while he was not at Hazeltine, as the proud possessor of 23 points across 32 Ryder Cups Palmer would have been delighted by the passion shown in Chaska. Palmer was the consummate team player. High school, college, country—you name it, he was always prepared to roll up his sleeves for the greater good. But his commitment to the collective cause went much deeper. He was a pitch man for Team America, a regular in the Oval Office, a friend and mentor to President after President, often solicited for advice when perhaps he wasn’t best qualified to give it. Nonetheless, he was never afraid to say what he thought. All his life Palmer stuck up for the little guy; he stood shoulder to shoulder with his fellow blue-collar patriots, just as his father Deacon had. He was the man to have beside you in the trenches when the going got tough. 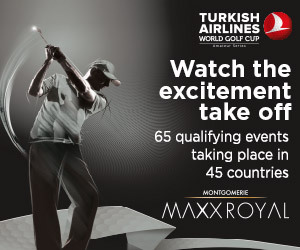 For such a stellar performer on the world sporting stage, a man whose individual triumphs eclipsed those of nearly everyone in the history of the game, he was the ultimate flag-bearer and waver. It all began at high school where the rough-and-ready education Deacon instilled around the fringes at Latrobe Country Club was smoothed out. Naturally, young Arnold towered above all his contemporaries as a golfer, not just at his own high school but across the state of Pennsylvania; but he was always reduced to the ranks when he returned to his pro-shop shoe-cleaning, ball-shagging and caddying duties at Latrobe. Deacon was proud, and protective, but even he could not freeze time. When he turned 18, Palmer headed off to college and into adulthood. Wake Forest was his destination. They say your college days are the best time of your life, and while this may not have been entirely true for Palmer, his love affair with this Baptist establishment in rural North Carolina endured for nearly seven decades. Back in the fall of 1947, Palmer had never ventured south of the Pennsylvania state line. Truth is, he wasn’t too bothered about furthering his education. For one thing his family couldn’t really afford to pay for him to attend college and for another he already knew he wanted to turn pro and win titles on the PGA TOUR. His great friend Bud Worsham, with whom he grew up playing junior tournaments, had other ideas, though, and persuaded Jim Weaver, the sports director of the college he was about to attend on a full golf scholarship, to offer the same deal to young Arnold. “In those days Wake’s golf team was something of a doormat in the old Southern Conference,” wrote Palmer in A Golfer’s Life. Fortunately, ambition burned bright in the bosoms of both Weaver and the golf coach, Johnny Johnston. Thanks to that duo’s shrewd selection policy, Palmer, Worsham and a clutch of other gifted recruits like Jim Flick—who went on to become one of the game’s foremost teaching professionals—were given the chance to put the Deacons on the map as a golfing power. Two Southern Conference championships duly arrived in 1948 and 1949 while Palmer’s individual honors included medalist at the 1949 and 1950 National Intercollegiate (NCAA) championships and winning the 1950 Southern Intercollegiate title. Almost overnight, in classic Cinderella fashion, the doormat had been transformed into a rich red carpet. But it was important the litmus paper so dazzlingly ignited by these exceptional talents was not extinguished with equal abruptness once they graduated and departed to the wider world. The torch of their legacy had to be passed on so Wake Forest could consolidate its newfound status as a golf power. As Palmer’s college days drew to a close, tragedy struck when Worsham and Gene Scheer, another member of the golf team, were killed in an automobile accident. A few weeks later the distraught Palmer left Wake Forest without his degree and enlisted with the U.S. Coast Guard. Gradually, fonder memories of Wake Forest returned. “I’m very fond and proud of my relationship with my alma mater,” said Palmer, who eventually became a trustee. In his slipstream, Wake Forest built a formidable tradition of competitive success thanks to a procession of talent, including Curtis Strange, Lanny Wadkins, Scott Hoch and Jay Haas. After winning the 1954 U.S. Amateur Championship, Palmer was nailed on for a place in the following year’s American team for the Walker Cup against Great Britain & Ireland at St Andrews. Recently married to Winnie and needing to earn a living, however, he had little option but to turn professional and it was six years before he had his next taste of team golf. As the reigning Masters and U.S. Open champion, Palmer was selected to represent the United States for the first time in 1960. It was the Canada Cup (now the World Cup), staged over the rugged links at Portmarnock Golf Club near Dublin in Ireland, and he found himself in tandem with the seasoned Sam Snead. Naturally they won the team trophy and went on to repeat the feat two years later in Argentina. In all, Palmer won the Canada Cup six times, with his last four victories coming alongside Jack Nicklaus in 1963 (in Paris), 1964 (in Hawaii), 1966 (in Tokyo) and 1967 (in Mexico). It was during this period that Palmer also became an accomplished performer on the Ryder Cup stage. Barred by arcane PGA rules from making his debut against Great Britain & Ireland in 1959, Palmer had to wait until October 1961 at Royal Lytham & St Annes in England to become a fully-fledged Ryder Cup American. After two victories in the foursomes with Billy Casper, he claimed a further one and a half points from his two singles outings—the half coming from the first of many jousts with Peter Alliss, later acknowledged as the voice of British golf. Just two years later, at East Lake in Atlanta, Georgia, Palmer was elected captain by his teammates—the last time anyone served as a playing captain—and went on to win four of his six matches, though on this occasion one of his two losses was in singles against Alliss. In 1965, at Royal Birkdale in England, scene of his 1961 [British] Open triumph, Palmer teamed up in the fourballs and foursomes with his great friend Dave Marr, winning two and losing two, before enjoying a brace of singles successes. After missing the tied match in 1969 at Royal Birkdale, Palmer returned for the U.S. two years later at Old Warson Country Club in St. Louis. His 100 percent record in the fourballs and foursomes, when he teamed up with Nicklaus and then Dickinson, was blemished by just a half point in his two singles. By the time he lost to Peter Oosterhuis on the final afternoon, though, the result was a foregone conclusion. Palmer celebrated his sixth successful Ryder Cup from six playing appearances in 1973 at Muirfield in Scotland, although it was a mixed bag for him personally—two wins and three defeats. The decision to stage the 1975 Ryder Cup at Laurel Valley, almost his back yard, meant Palmer would be involved in some shape or form. “I’d hoped to play my way onto the team, but it wasn’t meant to be,” he reflected ruefully. Instead, the PGA of America appointed him non-playing captain and he responded to their trust with a 21-11 victory. A convincing home victory famously included two singles defeats for Nicklaus by Scotland’s Brian Barnes. “It’s kind of funny now, but it was no laughing matter then,” was Palmer’s solemn verdict. That was far from Palmer’s last experience of captaincy. In the second Presidents Cup match in 1996 at the Robert Trent Jones Golf Club in Gainesville, Virginia, he presided over a narrow (one-point) U.S. victory against an International team led by his erstwhile Australian sparring partner Peter Thomson. The outcome remained in doubt to the end, until Fred Couples drained a 35-foot birdie putt on the 17th green to close out the final singles against Vijay Singh. Palmer’s commitment to the team cause had by then taken another twist and the following year saw the start of an eponymous series of annual, Ryder Cup-style matches between college golfers from the U.S. and GB&I (later extended to Europe). The first Palmer Cup was hosted by the great man at Bay Hill Club & Lodge and the record currently stands at 10-9-1 in favor of the Americans. Played over a championship course, many of its former participants are now household names, including Dustin Johnson. Palmer was delighted at the success of the Palmer Cup, but what especially pleased him was the camaraderie of the players: rivals on the course, friends off it. Such could have been the motto for how Palmer himself approached the game of golf, and indeed the game of life.